Kelly Baik plopped two large plastic Tupperware containers in front of Nelson Tran and Loan Nguyen, who were seated at the kitchen island. Baik opened one, picked out an amber-colored bottle and rattled it. 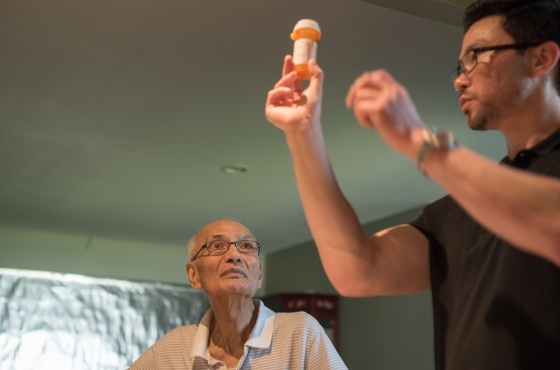 Baik, 32, is a “nurse navigator” who has been helping Tran, 86, stay out of the ER and expensive nursing homes despite his heart problems and recent stroke. Baik is part of a team at the Acacia Adult Day Services center that is testing whether old-fashioned home visits may be the key to prolonging seniors’ independence. Read the full article at the Center for Health Reporting.